Accidents involving PWC’s go beyond just injuries. Often times, it will also result in some kind of property damage. The negligent party responsible for causing injuries or property damage is likely to be held liable for any repair costs and compensation. It is therefore extremely important for anyone in this situation to make sure any damages and any insurance coverage is investigated as soon as possible. Retaining a lawyer right away gives your attorney the greatest opportunity to guide you and help you navigate the complexities of evaluating the extent of your injuries and property damage, any insurance coverage, and dealing with insurance companies. 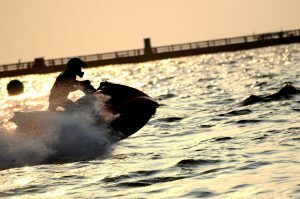 If you or a loved one have sustained injuries as a result of a personal water craft, and would like to have an experienced, established, and proved successful plaintiffs attorney take a closer look at your case, call the personal injury attorneys at Friedland | Carmona now.